Unless you’ve been living under a rock for the last 10 years, you’ll have heard of country-turned-pop singer Taylor Swift. TayTay’s celebrity status has excelled beyond belief in recent years, and while her personal life is constantly in the media, she’s made some immense songs to express her feelings about that. She’s come a long way since bursting on the scene with her country twang, guitar and blonde ringlets. 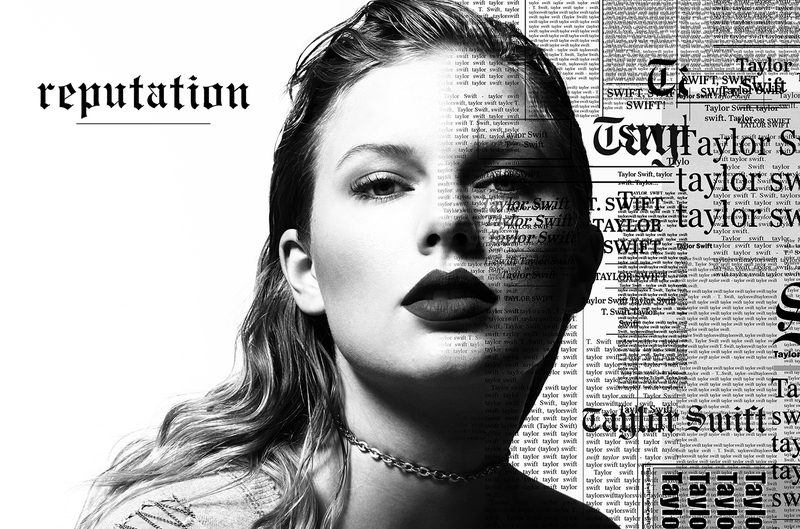 To celebrate her latest album, Reputation, which is out today, we’ve looked at the essential Taylor Swift tracks you need to hear. Swift’s 2014 album 1989 is pretty close to a perfect pop album. Her singles were spot on too, and Blank Space was one of the strongest. In terms of creativity, Taylor absolutely nailed it with Blank Space. She took the media perceptions of her on the basis of her dating life (as she’s had previous with Joe Jonas, Harry Styles, Calvin Harris… and so on), and turned it into a pop hit. Sometimes you just need to laugh – and Taylor had the last laugh on this one. This might seem familiar to you, and it’s probably because this is the song that began the MTV VMA, Kanye West incident. Taken from 2008’s Fearless, this song got Swift noticed for the right and wrong reasons. It’s a bit all-American, girl-next-door, but it’s catchy. Kanye’s outburst over the video may have overshadowed it, but You Belong with Me is a young Swift triumph of epic proportions. Taken from fourth album, Red, I Knew You Were Trouble flipped the script on what we knew to be Taylor’s sound. It was grittier, the video was raw and it was honest. The media were out on this one – is it about John Mayer, her ex-boyfriend? Who knows. And who cares! She created a huge track that went beyond her comfort zone and we LOVED it. T Swift loves a good feud, and her track Bad Blood was as scathing as they come. Allegedly about her now former friendship with Katy Perry, she recruited her famous girl gang (which includes Selena Gomez and Karlie Kloss) for her video, and got rapper Kendrick Lamar involved too. In terms of language used, classic Swift uses her killer terminologies such as “Band-aids don’t fix bullet holes” – clever as ever, Swift. Less gritty banger, a bit more floaty – but as perfect a song as anything else gracing this list. Yes, it’s relationship focused, and there’s a bit of a theme here with Taylor; but don’t all of the best songs look to love? You might not be able to hit the high note in the chorus when she sings “Say you’ll see me again even if it’s just in your wildest dreams” but you’re definitely going to try. In a battle between Taylor Swift’s 22 and Lily Allen’s, Swift wins hands down. Everyone raves about turning 21, but the real joy comes at 22 – or so Taylor has us believe. It’s her favourite year, because of what she learned when she turned 22, and that turning point into adulthood. If you didn’t caption your pictures with “I don’t know about you, but I’m feeling 22” on your 22nd birthday, did you even turn 22? The duet of our dreams really did happen back in 2013, when Taylor Swift and Ed Sheeran collaborated on Everything Has Changed, from Swift’s album Red. It’s got a folk feel to it, and shows us what an impact on person can have on you. Recognise those backing vocals? That will be because they’re providing by Snow Patrol’s Gary Lightbody. Can it get any better? This is the power anthem you need following a tough break up. It’s empowering, it’s catchy and it’s one of Taylor’s best videos yet. It showed much more of her personality and of course, parodies followed. When first released in 2012, it was massive. Although there’s plenty of speculation it’s about a famous actor ( Jake Gyllenhaal… cough cough), let’s focus on the music: it’s pop perfection. Love Story is probably the song that really kick-started Taylor Swift’s career – back when she was a cute little country singer. Swift reworked the ever-popular Shakespearean love story of Romeo and Juliet, but in this one, we get a happy ending. Her track is romantic, and very much of the era but has aged incredibly well. It’s hard to believe this song is almost a decade old! Without a shadow of a doubt, Shake It Off is Swift’s finest hour. Nothing comes close to the impact this has had on her career. It allowed her to evolve and mould a bit more of a pop sound, which we adore. She tells us to ignore those who annoy us and just shake it off. It’s no surprise this is her biggest hit so far, spending an incredible 50 weeks in the Billboard Top 100. Dive into the world of Taylor Swift with musicMagpie! Her back catalogue is available to buy now.